Offered at $10,950,000, Penthouse A at the landmarked cast-iron 87 Leonard offers 3,888 square feet of refined interiors in addition to 1,693 square feet of private outdoor space. 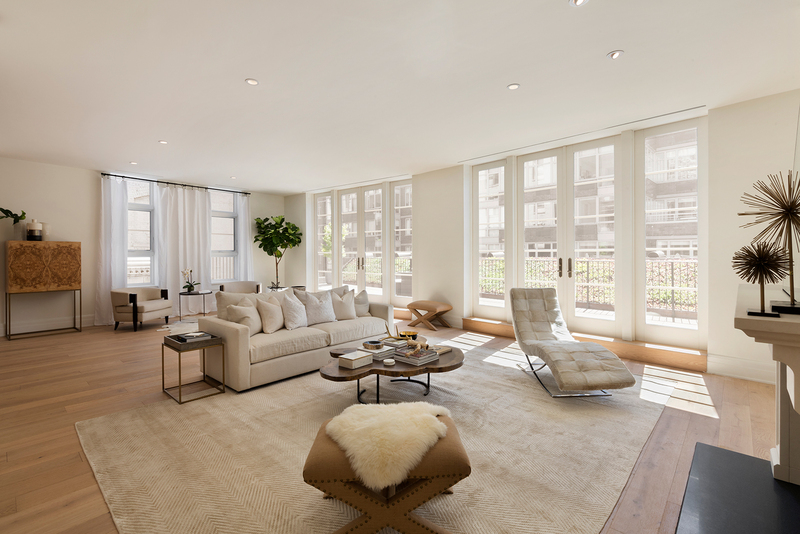 Floor-to-ceiling windows fill the entire space with light. Be sure to make an appointment for a tour of this grand home on Sunday, particularly of its wrap-around and roof terraces!